So I decided to move to Nebraska. I wanted to write the book with a prairie gale in my hair, within smelling distance of a fresh cow pie, beneath the black skies and their wheeling stars, and I figured that, somehow, by living on the plains, the plains - their very spirit - would end up in my book. The publishing industry gave it the thumbs up and now that I knew I had money on the way, I knew that it was time to finally pull the trigger: I needed to pack my things and go. 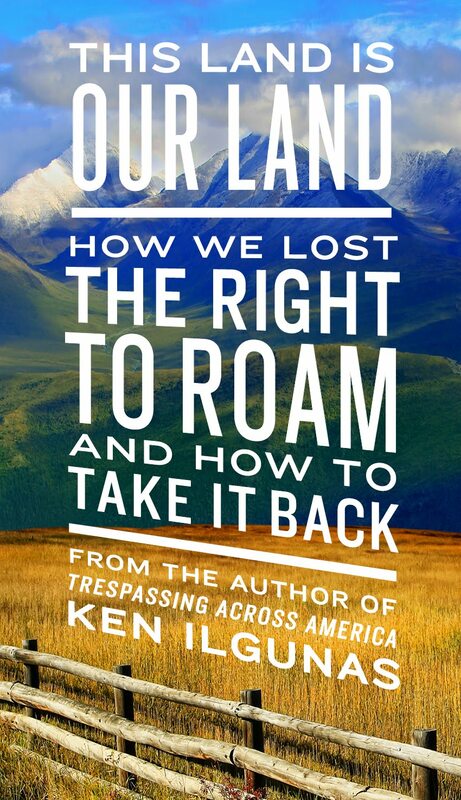 I contacted my good friends in Nebraska - the Hammond family (who I'd met on my KXL hike) - and they said they had extra room in a spare building on their property if I wanted a home base for my writing project. I took the road up through Virginia to Floyd, so I could purchase some Appalachian wine, beer, and honey for my new hosts, and then proceeded to follow a fairly uninteresting interstate route through West Virginia, Ohio, Indiana, and Illinois, while listening to a relentlessly-entertaining playlist of Radio Lab podcasts. Years ago, I remember driving over a surprisingly scenic byway of Iowa, so I aimed to cross the state on the morning of the day I'd make it into Nebraska. The van, though, was acting a little funny. At first, there was a weird flapping noise under the hood. I was fairly disgusted because I assumed it was yet another serpentine belt problem. I'd had two belt-related repairs and two new belts in the past six months. Not thinking it was serious, I continued on. However, the flapping stopped and the engine just became gradually louder and more vacuum-like. I checked my fluids, bought a gallon of coolant, and continued on, hoping I'd reach Nebraska before any damage was done. Despite all the weird noises, the van was still running fine, and I had no reason to believe it wouldn't make it. But near Toledo, Iowa, I noticed that the temperature gauge was all the way over on "Hot." It was a Saturday, so no mechanic shops were open, but a cashier at a gas station said there was an Advanced Auto Parts in Marshalltown, the next town over, about twenty miles to the west. I let the van cool down and proceeded to Marshalltown, but the gauge steadily pointed toward the "Hot" symbol again. When I drove into the Advanced Auto parking lot, a gangly mechanic who'd been working on his own vehicle gave my van and its weird noises a concerned look, coming over as soon as I parked it. He was impressed with the hotness of my engine, and quickly gathered that I knew nothing about the inner workings of vehicles when I unconfidently muttered something about the temperature gauge (which I think I called the "heat gauge"), while sloppily interchanging the terms "coolant," "radiator fluid," and "antifreeze"--the difference of which, if there is one, is and was unknown to me. As usual with mechanics, I stayed quiet and knowingly nodded as he explained what could be wrong, which I knew was my best chance at giving him the impression that I wasn't a complete idiot. "Hmm. You think?" I said, as if I was weighing the possibilities, but also concealing my own, perhaps superior, theories. "Am I high?" I said, taken aback. "Mmm. No." "You look like it. Your eyes are all red." "I've just been driving a lot," I said, before offering the obligatory, "not that there's anything wrong with it." "I'd be gettin' high all the time if I wasn't workin' on my CDL," he said. He gave me a look of disbelief, and said I needed to add two jugs of coolant and not drive anywhere that evening so that I could have it checked out in town the next morning. I thought I was working with an Advanced Auto guy the whole time, but soon a dapper young man in a red shirt came out, and I realized that my gangly conversant was just a customer, albeit a knowledgeable one whose assessment I trusted. Still, I disobeyed his warnings, and continued along the highway as soon as the van had cooled. I advanced only five miles before the van started overheating again. I realized there was something seriously wrong with the van, so I called AAA for a tow. When the AAA guy started the van up so he could drive it onto the towing platform of his truck, the engine rattled noisily. It was a noise I'd never heard before, a faint sputtering of machine-gun fire, a pinball bouncing erratically under the hood. He told me to fear the worst. 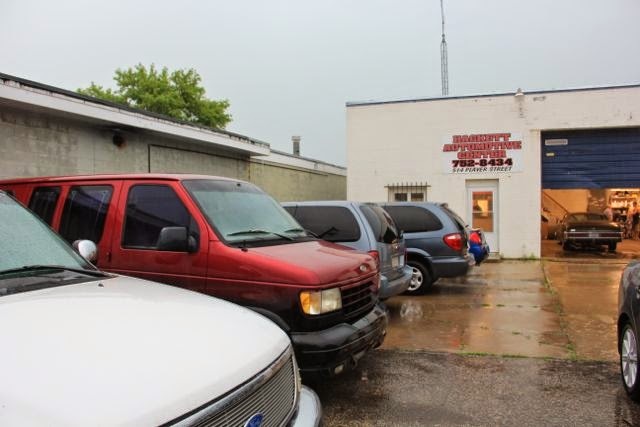 I spent my hours in town at the laundromat, where I pilfered free Internet and watched two episodes of The Wire, occasionally scouring online ads for used cars in Marshalltown, and being generally disappointed with my options. A man and woman, whose faces were thoroughly pierced and whose arms were almost completely covered in tattoos, were doing their wash. 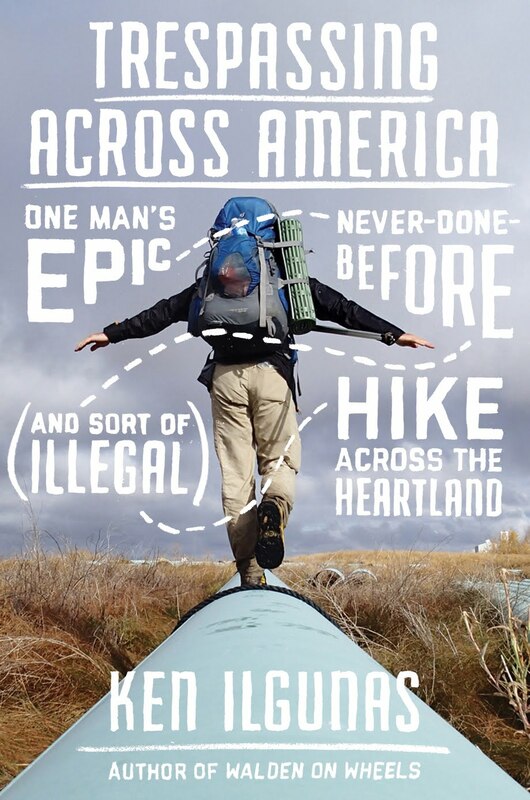 When I stepped out for fresh air, the man stepped out, too, walking toward a nearby gas station. In mid-stride, he lamented to me about the poor weather coming our way, since it would interfere with his body suspension ritual (in which people hang from metal hooks pierced into their body). When he returned, I asked him, "Did you say 'body suspension?'" He talked for nearly half an hour about how he and his lady-friend had moved from Florida to Iowa because of Iowa's lax regulations on body suspension. He said being hanged from hooks was therapeutic, but it sounded awfully unpleasant to me. He brought his lady-friend over, turned her around, and pulled down her tank top, revealing four dried streams of blood wiggling down her back. I slept in the van with all my belongings, parked in the lot of a mechanic who I hoped would give me good news in the morning. As far as sleeping in a van goes, that night was about as bad as it gets: It was unbearably hot, intolerably humid, my forehead was beaded with sweat, and my sheets beneath me were grossly clinging to my skin. Around midnight, I opened the side door for momentary relief, and saw two cars nearby full of quiet people, which scared the crap out of me, especially since I had with me every valuable possession I owned. In the morning, the mechanic tried to start the engine, but nothing was happening, and after he tried and failed to give it a jump, he declared it dead. The guy from the salvage yard showed up an hour later and pulled out three one-hundred dollar bills, his offer for the van, which he said he'd use for spare parts. I thought for a moment about telling him about my famous van, that I'd written a book about it, and that it was even featured on The Tonight Show with the hope of wringing another hundred out of him, or at least making them all think I was more than some idiot who'd let his van overheat, but I ultimately deemed that to be beneath my dignity, and obediently took the $300. I still had another six hours of driving to get to the Hammond's, yet there was no public transportation, and I had too many boxes of stuff to transport anyway, so I called the Hammonds up, explained what had happened, and before I could beg them to come pick me up, Rick said he was on his way. Rick arrived hours later in torrential downpours. We hastily transferred boxes from the van to his car. I jumped in the car, but then quickly jumped back out, as I'd forgotten to say goodbye. I took a few pictures and laid my hand on the hood. Previously, I wondered if I'd get emotional. The van had gotten me through grad school. I'd written a book and numerous articles about it. It had in some way become part of my identity. I imagined that I'd grow misty eyed, and Rick would respectfully remain silent as I expressed my grief. But I felt nothing. In the end, it was just a hulk of metal that had some major belt problems and that had forced me to spend unforgivable sums on gas on the rare occasions I drove it. Honestly, I think I should have said goodbye to it years ago. Since graduating in 2011, I never really needed it for housing purposes. I never thought to sell it because it supposedly contained sentimental value, which it apparently did not. It was a van I never felt compelled to name. The van was like a girlfriend you know you should break up with, but won't out of concern for the mess a big change would make. And you then enter a sort of "relationship purgatory," in which you have one foot in the relationship and one foot out. Similarly, I think I've sort of been living with one foot in the past and one in the future, and the van was one of several things holding me back: a deterrent to mobility, opportunity, and just about the most cumbersome memento imaginable. So when Rick and I rolled away, more than regret there was an odd sense of relief, and the feeling that the dispossession of that which had made me "free" in a past life could itself be a gesture of freedom in the present one. Farms, houses, barns, cattle, farming tools, and vans . . . these are more easily acquired than got rid of. Whoa Ken, that was one sad post! You sold that van for $300! Man, you shouldhave listed her on your web site and sold it. So sad. Beautiful post. The van is part of your history and it played its part. It is now time to move on. Good luck on your new adventure, looking forward to your book! glad there wan't sorrow over the parting with your van. I can be ridiculously sentimental, but I do try to not become attached to objects. Very much looking forward to the next book. And to defend my native state, which is dull as ditchwater from the interstate, there are interesting and beautiful places in Indiana! And tragic places, such as the little known 'Trail of Death' along which the Pottawatomie were marched, out to Kansas. I'm sad to read this story, but happy to read it too. Imagine if the car had a major problem while you were driving, and you had an accident? The same thing happened to me with my first car last week. I had a big accident. The car it's trashed. But I'm ok. No scratches at all. And that’s the most important thing. Strange I was thinking about what happened to the van after recently finishing "Walden on Wheels". Now I know. Aw, I was saddened by your post about the van. I guess it was time to say goodbye to that old friend. It was there when you needed it and your readers were with you all through your grad school days in it. It's sad, but things change and you have to move on. My daughter just wrecked a car I had since 1998. We travelled the country in that car and it was an excellent value for the price. I am looking forward to reading your next book. I live in Cheyenne right now, so I am familiar with prairie life. Ken! Back in Nebraska!! With the Hammonds!! Rick to the rescue. Wow. Great. Hope I see you at the Willie Nelson/Neil Young concert!! I was skimming through the epilogue of Trespassing Across America, ready to be done and head to bed, when "Marshalltown, Iowa" caught my eye. I was oddly delighted to discover that your beloved van died in my home town! (Because not much else happens here.) I found your blog via Google and recognized the mechanic's garage from the picture. 1) I know of the tattoo and body piercing parlor that did the body Suspension. They are no longer in business. 2) I'm fairly certain that the guy from the salvage yard was my uncle-in-law. You were correct to decide that telling him your van had been featured in a book would not have garnered more money. I don't think he's ever read a book. Also, $300 is the most he's ever offered us for a vehicle, and we were getting the "family price." 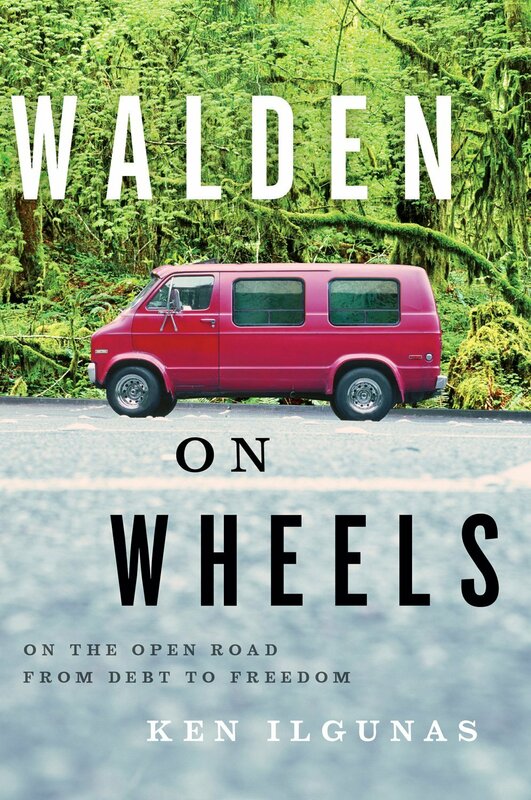 3) I was on the fence about whether to read Walden on Wheels, but it has moved to the top of my list now that I feel a vague sense of connection to your van.